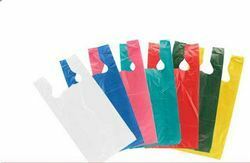 Owing to devoted experts, we have been competent to present a wide range of Non Woven T-Shirt Bags. These products are made as per industry norms and standards. 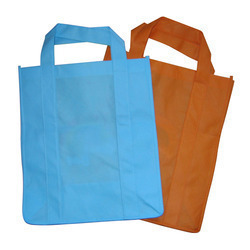 - Retail carry-out t-shirt bags are strong, attractive, and easy to carry. Light-weight High-Density plastic resists punctures or tears. Gusseted sides give extra storage space and expandability for bulky items. Plain Carry Out Bags are ready to ship to you today. T-shirt bag in very ood quality. Comes in different sizes, colors and designs.